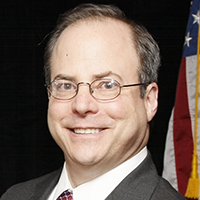 John Morrill serves as the Energy Manager for Arlington County, Virginia, a position he has held since 2000. He leads a broad portfolio of work in energy management and energy policy including energy efficiency and clean energy deployment for County facilities, and he is heavily involved in energy program development for the community. John also leads ESF 12, the emergency support function for energy in Arlington. 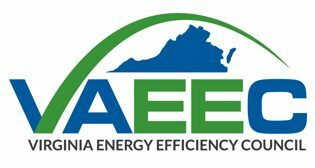 Prior to joining the County, John held a variety of research and management positions during 17 years with the American Council for an Energy-Efficient Economy (ACEEE) in Washington DC. He is coauthor of two books, Residential Indoor Air Quality and Energy Efficiency and Consumer Guide to Home Energy Savings (2nd through 8th editions). Morrill also worked briefly with the Emerald Cities Collaborative. In 2008 John received a Climate Protection Award from the US EPA for his work on the Arlington Initiative to Rethink Energy (AIRE). Morrill is a Certified Energy Manager and a Member of ASHRAE. He holds a Bachelor of Arts degree from Clark University, and received a Master of Urban & Environmental Planning degree from the University of Virginia. He is also a graduate of Leadership Arlington, Signature Program Class of 2013. John joined the VAEEC Governance Board in October 2014.